Review by AllTheBestFights.com: 2017-03-02, some good exchanges between Shinsuke Yamanaka and Carlos Carlson but it is not enough to get three stars: it gets two. The undefeated Wbc champion Shinsuke Yamanaka entered this fight with a professional record of 26-0-2 (18 knockouts) and he is ranked as the No.1 bantamweight in the world. He fought twice last year winning over Liborio Solis (=Yamanaka vs Solis) and Anselmo Moreno (4-stars fight, Yamanaka vs Moreno 2). His opponent, Carlos Carlson, has an official record of 22-1-0 (13 knockouts) and he entered as the No.41 in the same weight class. He suffered his only loss at his first pro boxing fight in 2011, against Andres Tapia; since then he has collected 22 consecutive victories beating Giovanni Caro and Alex Rangel in 2016. 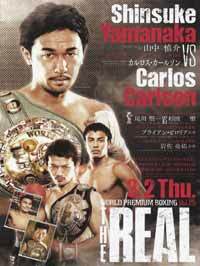 Shinsuke Yamanaka vs Carlos Carlson is valid for the WBC World bantamweight title. Watch the video and rate this fight! Review by AllTheBestFights.com: 2016-09-16, exciting back and forth battle with some tough exchanges from the first bell: Shinsuke Yamanaka vs Anselmo Moreno 2 is one of the best boxing fights of 2016 and it gets four stars! The undefeated Wbc champion Shinsuke Yamanaka entered this fight with a professional boxing record of 25-0-2 (17 knockouts) and he is ranked as the No.1 bantamweight in the world. He won the Wbc belt in 2011 against Christian Esquivel (=Yamanaka vs Esquivel) and since then he has successfully defended it ten times beating Liborio Solis in 2016 (=Yamanaka vs Solis). His opponent, the former Wba Bw champion Anselmo Moreno, has an official record of 36-4-1 (12 knockouts) and he entered as the No.6 in the same weight class but he lost two out of his last three fights, against Juan Carlos Payano (=Moreno vs Payano) and Yamanaka in their first bout (=Yamanaka vs Moreno). After this fight he has beat Suriyan Sor Rungvisai (=Moreno vs Suriyan). Yamanaka vs Moreno 2 is valid for the WBC World bantamweight title. Watch the video and rate this fight! Review by AllTheBestFights.com: 2016-03-04, good fight between Shinsuke Yamanaka and Liborio Solis: it gets three stars. 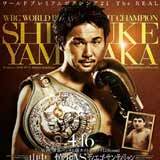 The undefeated Wbc champion Shinsuke Yamanaka entered this fight with a pro boxing record of 24-0-2 (17 knockouts) and he is ranked as the No.1 bantamweight in the world. He fought twice last year beating Diego Ricardo Santillan (=Yamanaka vs Santillan) and Anselmo Moreno (=Yamanaka vs Moreno). His opponent, the former Wba super-Flw champion Liborio Solis, has a record of 23-3-1 (10 knockouts) and he entered as the No.9 in the same weight class. He suffered two consecutive losses between 2010 and 2011, but since then he has won 14 fights defeating Jonathan Baat in his last one. Yamanaka vs Solis is valid for the WBC World bantamweight title (Yamanaka’s tenth defense). Watch the video and rate this fight! Review by AllTheBestFights.com: 2015-09-22, pretty good finish between Shinsuke Yamanaka and Anselmo Moreno but it is not enough to get three stars: it gets two. The undefeated Shinsuke Yamanaka entered this fight with a professional boxing record of 23-0-2 (17 knockouts) and he is ranked as the No.1 bantamweight in the world. He has already fought once in 2015 beating Diego Ricardo Santillan (=Yamanaka vs Santillan). His opponent, Anselmo Moreno, has an official record of 35-3-1 (12 knockouts) and he entered as the No.16 in the same weight class but he comes off the defeat against Juan Carlos Payano (bout in which he lost the Wba Bw belt, Moreno vs Payano). 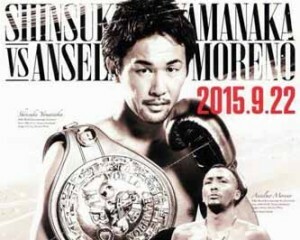 Yamanaka vs Moreno is valid for the WBC World bantamweight title (Yamanaka’s ninth consecutive defense); ; they also faced each other a second time on September 16, 2016 (=Shinsuke Yamanaka vs Anselmo Moreno 2). Watch the video and rate this fight! Review by AllTheBestFights.com: 2015-04-16, pretty good finish between Shinsuke Yamanaka and Diego Santillan but it is not enough to get three stars: it gets two. Both undefeated, the Japanese Shinsuke Yamanaka entered this fight with a professional boxing record of 22-0-2 (16 knockouts) and he is ranked as the No.1 bantamweight in the world. He won the vacant WBC world belt in 2011, against Christian Esquivel (=Yamanaka vs Esquivel), and then he successfully defended it seven times. He fought twice last year beating Stephane Jamoye (=Yamanaka vs Jamoye) and Suriyan Sor Rungvisai (=Yamanaka vs Rungvisai). His opponent, Diego Ricardo Santillan, has a perfect record of 23-0-0(15 knockouts) and he entered as the No.33 in the same weight class but he has not faced any notable opponents in his professional career; he fought just once in 2014 defeating Diego Luis Pichardo Liriano. Yamanaka vs Santillan is valid for the WBC World bantamweight title (Yamanaka’s eighth defense). Watch the video and rate this fight! Review: 2014-10-22, some good combinations between Shinsuke Yamanaka and Suriyan Sor Rungvisai but it is not enought to get three stars. The undefeated Shinsuke Yamanaka entered this fight with a professional boxing record of 21-0-2 (16 KOs=76%) and he is ranked as the No.1 bantamweight in the world, he has fought once in 2014 beating Stephane Jamoye (=Yamanaka vs Jamoye). 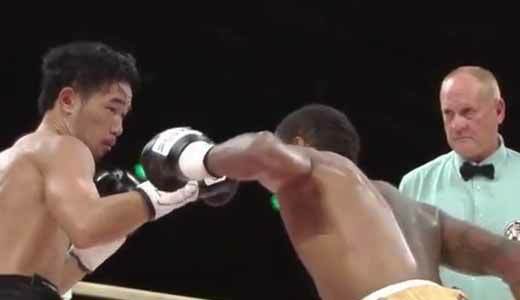 His opponent, Suriyan Sor Rungvisai, has an official record of 37-5-1 (16 knockouts) and he entered as the No.11 in the same weight class, he suffered his last defeat in 2012 when he faced Yota Sato losing his Wbc super-Flw title, since then he has won 17 consecutive bouts! Yamanaka vs Rungvisai is valid for the WBC bantamweight title (Yamanaka’s seventh defense). Watch the video and rate this fight! Review: 2014-04-23, some good single shots between Shinsuke Yamanaka and Stephane Jamoye but it is not enought to get three stars. The undefeated Shinsuke Yamanaka entered this fight with a professional boxing record of 20-0-2 (15 KOs=75%) and he is ranked as the No.1 bantamweight in the world, he is the current Wbc Bw champion, title won in 2011 when he faced Christian Esquivel (=Yamanaka vs Esquivel) and successfully defended six times. His opponent, Stephane Jamoye, has an official record of 25-4-0 (15 knockouts) and he entered as the No.40 in the same weight class, he fought twice in 2013 winning the first bout against Ashley Sexton but then he lost to Karim Guerfi. Yamanaka vs Jamoye is valid for the WBC bantamweight title (first world title shot for Jamoye). Watch the video and rate this fight! Review: 2013-11-10, fight not particularly exciting between Shinsuke Yamanaka and Alberto Guevara: it gets two stars. The undefeated Shinsuke Yamanaka (19-0-2, 14 KOs) entered as the No.1 bantamweight in the world while Alberto Guevara (18-1-0, 6 KOs) entered as the No.37. 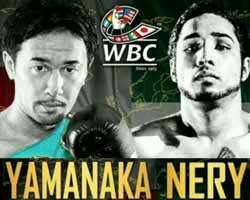 Yamanaka vs Guevara is valid for the WBC bantamweight title (Yamanaka’s fifth defense). Watch the video!